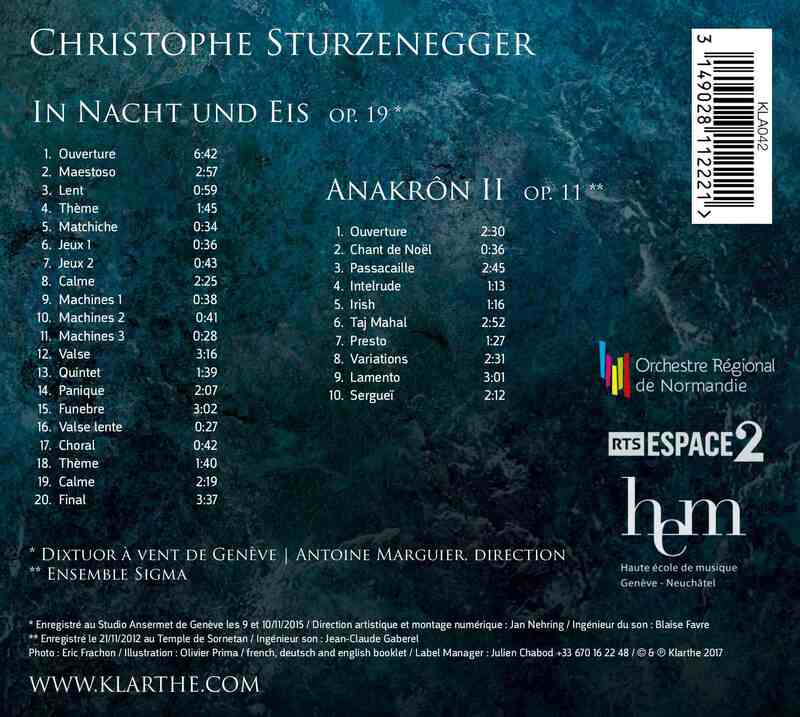 I was commissioned to write Anakrôn II by the wind quintet of the Bienne Orchestra in 2006. These pieces were initially composed to accompany Marc Baumgartner's fairy tale Max and the Ogres. Anakrôn II quickly became very successful, given that it was played more than fifty times in Switzerland, France, Belgium, Germany and in the Quebec region of Canada, where the quintet Pentaèdre incorporated the piece into its repertoire. In May 2016 it was played in Egypt and the text was translated into Arab for this occasion. Anakrôn II belongs to a lengthy series of pieces which I entitled ANAKRON, the name arising from the fact that a part of my music is anachronistic in today's climate of musical composition. As a musician I have encountered, experienced and played hundreds of pieces from a wide repertoire. Amongst them are pieces which made a great impression on me and have naturally influenced my style. Running against what seems to be natural is not what I want. As a "tonal" composer, I live with the concept of anachronism which influences both my ideas and my choice of musicians. The recording took place on 21st November 2015 at the Temple de Sornetan with the ensemble Sigma with which I collaborated for the occasion, under the musical leadership of Jean-Claude Gabarel. In 2014 the Regional Orchestra of Normandy (which I had occasion to conduct during the tour of France in 2011 when my piece The Queen of the Snows (La reine des Neiges) was played) commissioned this piece which was supposed to serve as the soundtrack for a silent film created in 1912 by Mine Misu, the first dramatisation about the sinking of the Titanic. The world premiere of this piece was in Caen in January 2015 and it was subsequently played throughout Normandy. In September 2016, Swiss Radio Espace 2 programmed it (along with the film) at the Schubertiade in Bienne, a festival organised every two years by Radio Television Suisse. 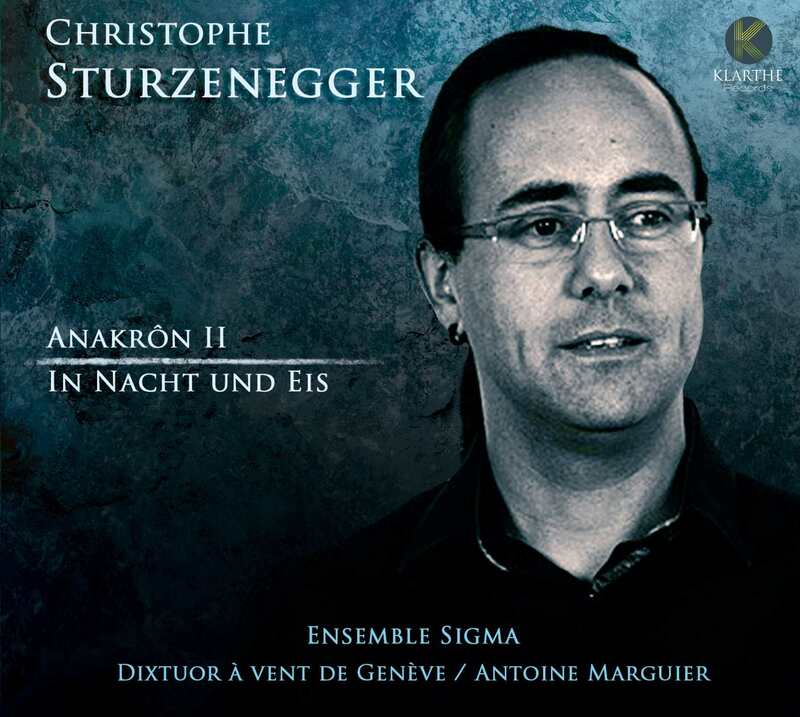 In the aftermath of these various performances I created a 'concert suite' from the musical material that was be played without the film, which was recorded by Jan Nehring at the Studio Ansermet in Geneva on the 9th and 10th November 2015.